With the release of Avengers: Infinity War now just a couple of weeks away, the promotional material is coming in thick and fast. 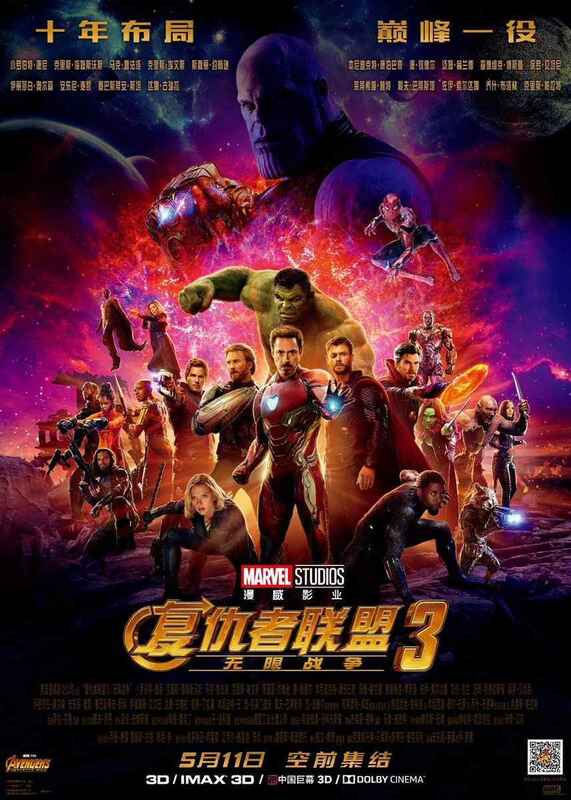 The latest is this Chinese poster for the movie, which at first glance looks like your typical collage of superhero poses that we’ve been poring over for the last couple of weeks. However, the eagle-eyed and attentive amongst you will have noticed that the one-sheet gives us a proper look at Spider-Man’s Iron Spider armor that’s been showcased in the trailers. 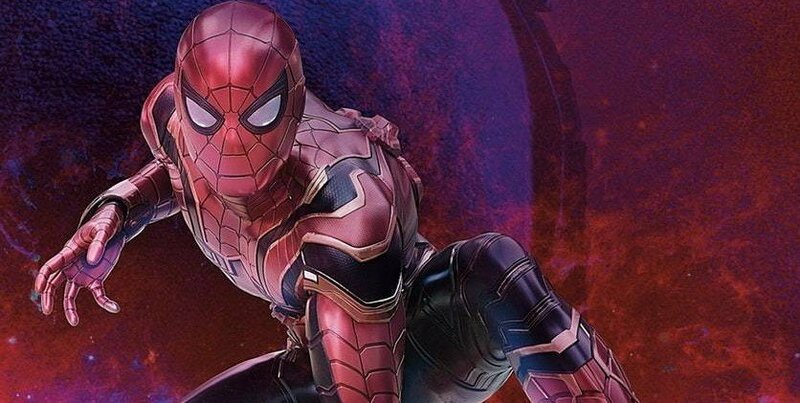 While maintaining the traditional Spidey color scheme, there’s definitely an overt Stark Industries tinge to it, especially in the way it adds some very Iron-Man’ish gold highlights against the red. 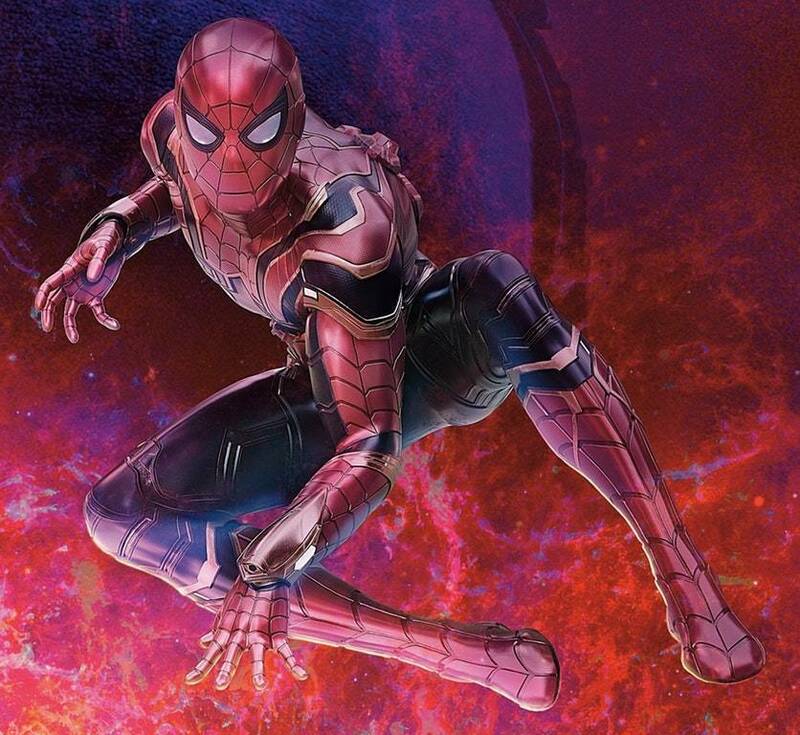 The concept of an armored suit for Spider-Man was first teased at the end of Homecoming, but the web-slinger turned it down then, having learned over the course of the movie that reliance on technology can be a crutch and that he doesn’t necessarily need gadgets and armor to fight evil. While I’m not over the moon that this nice bit of character development has been rolled back, I guess I can’t blame Spidey for deciding that maybe stretchy fabric isn’t the best outfit for a battle against inter-dimensional alien soldiers and their invincible Titan boss. One of the most interesting aspects of this image is a good look at the device on the back of the costume to which additional robotic legs can be attached. Despite not having been seen in the trailer, we’ve caught a look at them on tie-in toys and know that they’ll amplify the already acrobatic hero’s maneuverability – which could prove crucial when navigating a chaotic, superhero-crammed battlefield. We’ll see this cool new suit in action on April 27th when Avengers: Infinity War opens big. Let’s just hope it’s tough enough to stand up to whatever Thanos can throw at it!